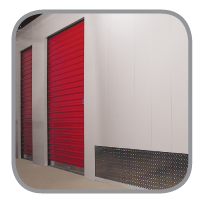 The Wayne Dalton Interior Wall System is a complete, pre-engineered system for climate-controlled, interior storage units. Built for durability, it is ideal for new construction or retrofit applications. 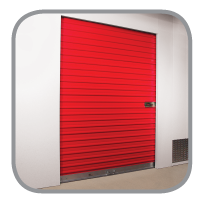 Flush Cor-O-Wall™ and corrugated Mod-U-Wall™ panels can incorporate roll-up doors and swing doors in any configuration. One Source: Everything You Need. As an investor or operator, Wayne Dalton can help accelerate your return on investment. 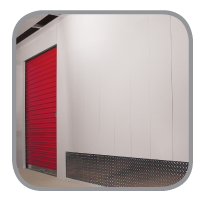 We will engineer a complete interior self storage for your space, then handle all aspects of installation. Everything you need to open for business. 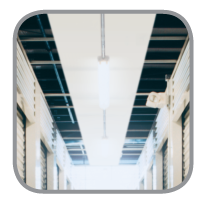 Corrugated 26-gauge panel can be used as a divider partition inside each unit or as a hallway panel to keep costs at a minimum. Mod-U-Wall™ divider partitions interlock without the use of exposed screws. Angle and channel are included. DS75 & DS100 mini roll-up doors manufactured from 26-gauge galvanized steel, primed then finished with high gloss, silicone polyester paint. 20-gauge roll-up frames featuring 2" returns maximize space and are designed for strength to accept DS75 & DS100 mini roll-up doors. Base anchors included. *Roll-Up Frames with 4" returns available. Filler panels are available in flush 20-gauge or 26-gauge corrugated material. they are engineered to enclose the area above the door and complement the interior system to provide a secure, contemporary look. Side and bottom channels are included. Flush 20-gauge hallway panel manufactured in 12" wide, interlocking panels, and engineered so that screws are not exposed. Cor-O-Wall™ panels provide maximum security and are easy to keep clean. 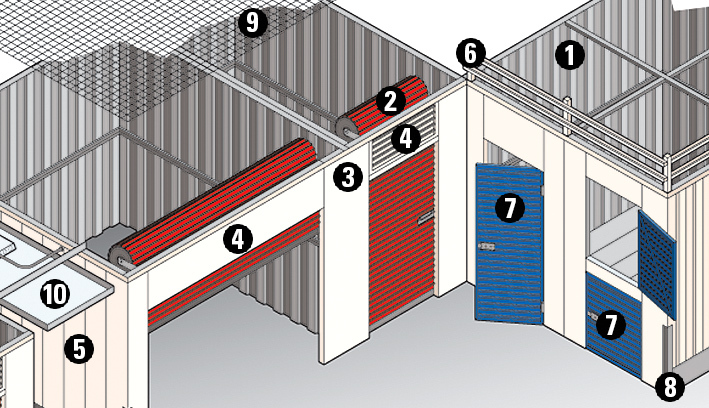 20-gauge channels installed above the storage unit are an alternative to wire mesh. Burglar bars are installed 8" on center and provide security between each unit and above the hallway. Cor-O-Door™ & Locker Doors are manufactured with an extruded aluminum frame. Mitered corners in the frame and the cross brace on the back of the door add strength to the swing door. 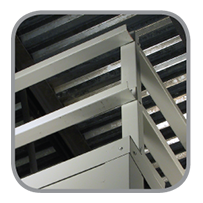 Cor-O-Door™ frame and header are manufactured from 20-gauge steel to the height required in the hallway. 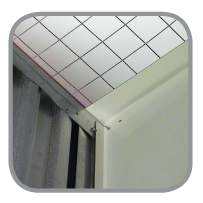 Corner Guards protect exposed corners in the hallway and are available up to 10 ft. Available in 20-gauge galvanized steel and aluminum diamond plate. Kick Plates are installed at the bottom of the hallway to prevent damage caused by tenants moving into the storage unit. Kick plates are available in 20-gauge galvanized steel and aluminum diamond plate. Low cost, yet highly effective method of securing contents while allowing ventilation and lighting inside each unit. Available in 2" x 2" mesh - 16-gauge x 150-foot rolls. Mesh angles and fasteners included. Soffit installed above the hallway provides an attachment point for hallway lighting. Hallway soffit completes the interior system and provides security above the storage unit.